John Thomas Furniture has proudly been crafting the finest solid wood home furnishings. 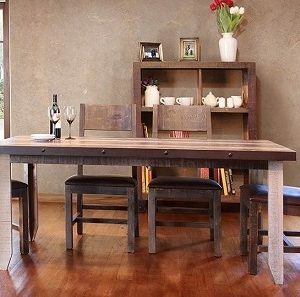 We believe in, and are inherently committed to, offering the most beautiful, long lasting, affordable home furnishings. 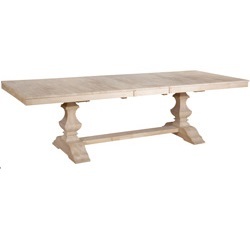 Our products are made entirely of Parawood, which is part of the maple family. 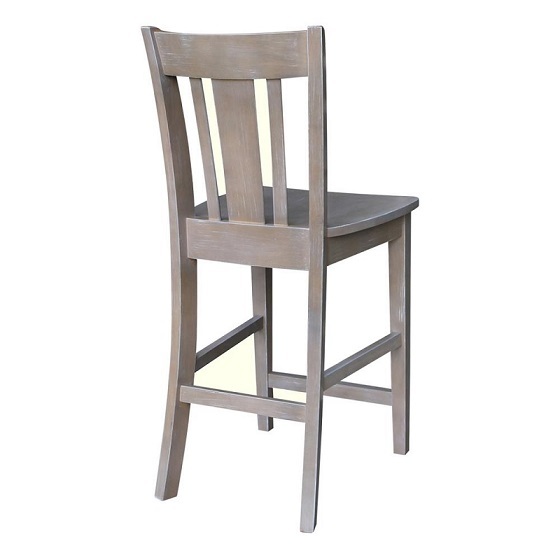 It is valued for its dense grain, minimal shrinkage, attractive light color and ease of finishing. It is also prized as an “environmentally friendly” wood, as it makes use of plantation grown trees that have been cut down at the end of their latex-producing cycle. 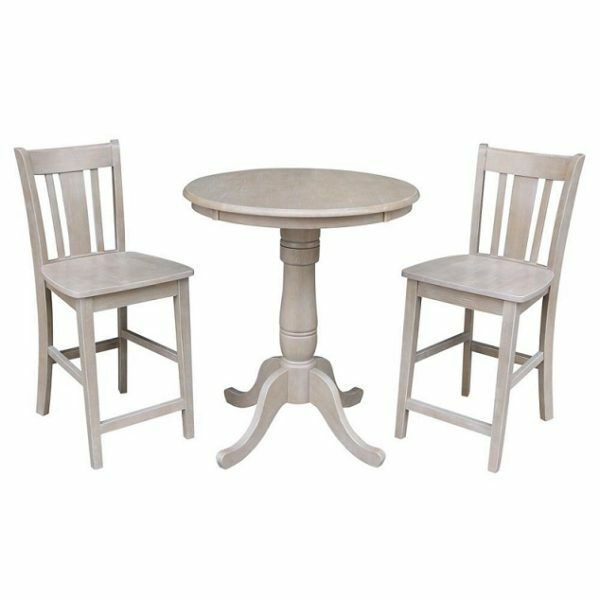 This beautiful dining set is perfect for two! 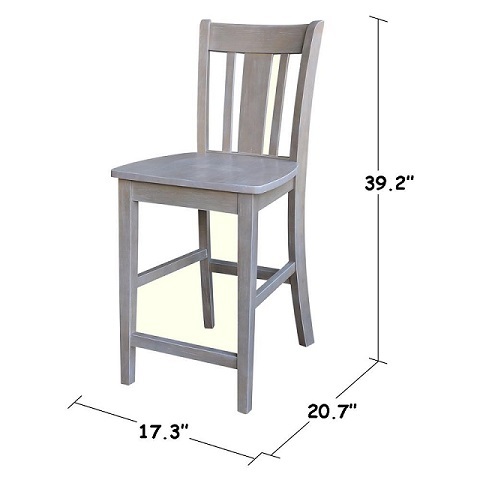 Made of solid wood with a unique weathered gray finish. 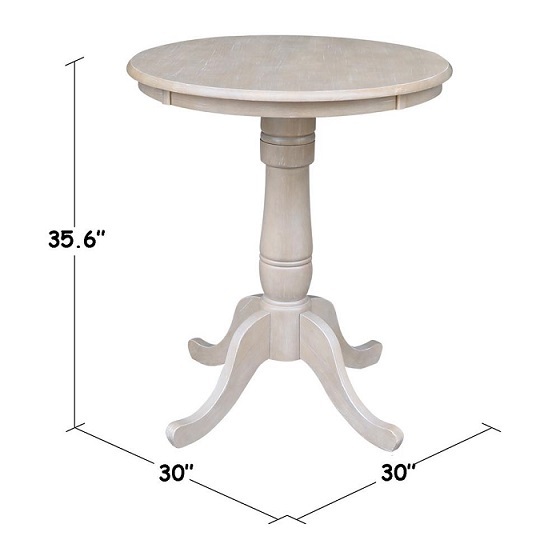 30″ Round table – 36″H with 6″ Pedestal extension to make for an adjustable height.